Do you ever find yourself thinking: "Why am I here? What is my purpose?” Do you feel like you are stuck in a dead end job or relationship. If you answered yes to two or more of these questions then this audiobook is for you! Built into your Soul DNA is the knowledge of how to bring into your life everything that you desire. In your natural state of existence it is common knowledge. 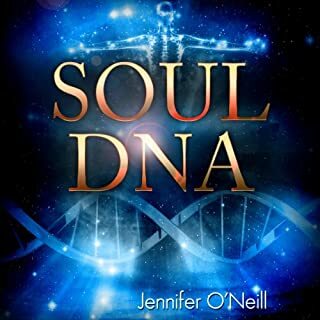 When you listen to Soul DNA it will open your mind, helping you to understand endless possibilities! 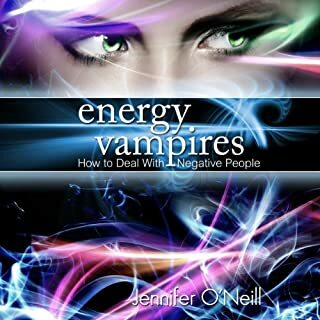 Who exactly do energy vampires and negative people affect? Simple ... Everybody! So what is an energy vampire? You've probably heard the term "energy vampires" before, especially if you're at all interested in psychic ability or psychic development. But what exactly are energy vampires? They're not real vampires. Well, I guess they're real vampires, but not like the ones you see in Twilight ... Energy vampires feed upon your energy. 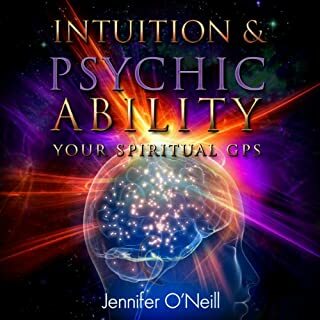 Discover something scientists have been trying to understand for years... the "true reason" behind intuition and psychic ability! 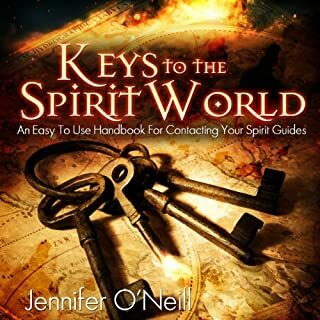 Whether you consider yourself a beginner or advanced, Intuition & Psychic Ability: Your Spiritual GPS will answer questions you probably didn't even know you had. When it comes to working with the Law of Attraction, or manifesting your desires, there are many, so-called "secrets." When movies are produced or books are published on either of these two subjects some of the most important information is, well let's just say, "missing." You're only provided with half of the information that you need. Is it on purpose? Maybe, sometimes...Is it on accident? Probably, most of the time...Is it because they don't know the entire truth themselves? Most likely...You will never, ever, be able to fully understand how to manifest things into your life without understanding the how the entire manifestation process works. How to "understand" Universal Laws. Why Universal Laws are important to manifesting your desires. What it feels like when working with Universal Laws and manifesting. Six Common blocks to manifesting your desires. I have taught thousands of people how to manifest their desires, and I have a huge success rate. And if you follow these things, I have no doubt in my mind that you too, will be successful. The amount of information within this audio book is amazing! All of it digestible and actionable. Refreshing way of seeing the law of attraction. I really appreciated how the book went into more details about how many different factors affect the law of attraction. The details being the 18 laws included in the book, and listed in the table of contents. Also appreciated some of the exercises that were presented at the end and through out the book. I paired this book with whisper sync and also like the narration. The narrator's voice was pleasant and she read at a good speed. I will listen/read more from this author. Awesome book that will change your life for the better. 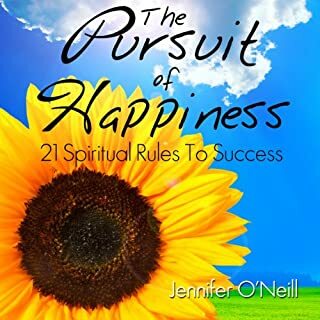 I love all of Jennifer O'Neill's books, audiobooks, YouTube videos and podcasts. She is very wise, fun, and an excellent teacher. I really enjoyed learning more about the 18 Universal Laws. When listening to Jennifer describe some of these, it helped to connect the puzzle pieces where things have and have not gone well in my life. She is extremely thorough and offers all perspectives on each law. The narrator was very good as well! I look forward to listening to more of Jennifer's titles. I purchased this audio a few years ago but it is the one I go back to over and over. Not only does it go more into depth about learning to manifest, but Zehra Fazal's voice is amazing to listen to, one of my favorites. 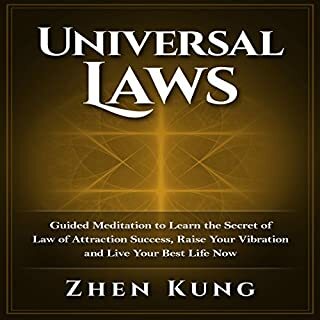 Universal Laws takes 18 concepts and explains about each one so the reader understands and does it in 3 hours, which means all the filler that is usually put into books is kept out. I have been studying universal laws and really learning how to respect them for the last 4 years. I can sincerely say that Jennifer does a great job explaining them. I love her explanation of love in chapter 2. Yes. I wasn't able to do. I am now listening to it again for the 4th time. love it great I am going to listen again. all of the imfomation was great! 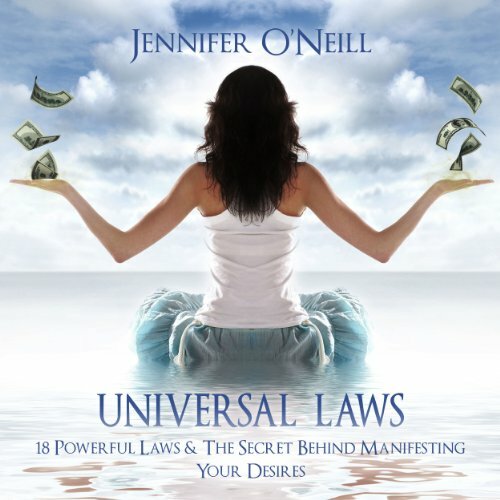 What did you like most about Universal Laws: 18 Powerful Laws & The Secret Behind Manifesting Your Desires? I'm happy I got the audio book. I had the Kindle edition but didn't read it and probably would not have read it. However, the excellent narration of the audiobook made me pay attention to the contents and I found it to be very good. What other book might you compare Universal Laws: 18 Powerful Laws & The Secret Behind Manifesting Your Desires to, and why? The Power by Rhonda Byrne is a similarly good book in this genre when you've actually woken up to what is being communicated. What does Zehra Fazal bring to the story that you wouldn’t experience if you had only read the book? I like her narration of this book and, in fact, I'm writing this review because I think her narration is brilliant. No. It requires several breaks to contemplate what's actually being communicated. This book has been very informative and has really put a new and real perspective on my learning. I truly loved it. I haves listened about 8 tines already. Basic Instructions Before Leaving Earth! i loved this book, particulary since i have been struggling with a few of the specific laws mentioned! a must read on everybodys list!! !